Embrace a sleek and contemporary design in your bedroom with this Toscana fitted furniture, featuring smooth sliding wardrobe doors configured to suit your homes distinctive character. A combination of complementary materials and finishes invokes a modern sophisticated aesthetic which blends beautifully in your home. 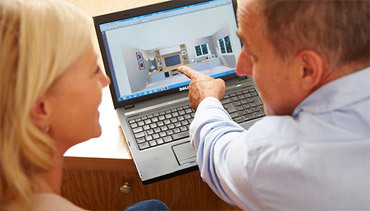 Your Strachan fitted bedroom is designed bespoke to your needs. With an exclusive selection of painted, gloss and wood grain finishes, together with integrated features and statement handles, you can truly personalise your space. 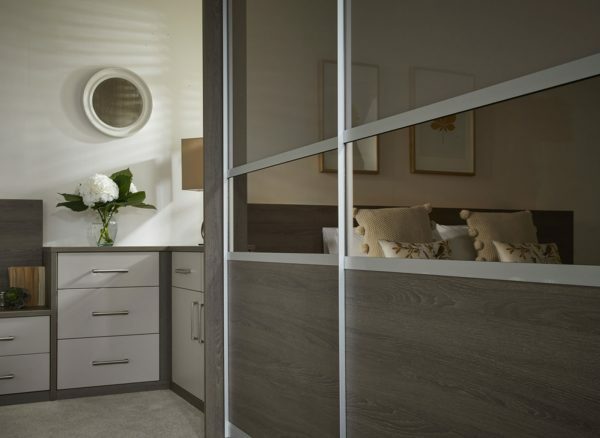 Our sliding wardrobe doors can be configured with a number of luxurious finishes to create your stunning bedroom interior, including coloured glass, tinted mirrors and striking wood grain finishes. 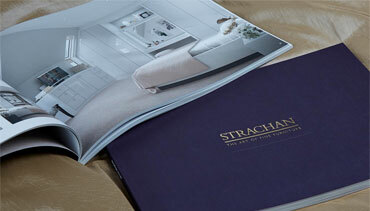 Your Strachan wardrobe interiors can be tailored to suit your individual requirements. Internal low level drawers feature a smooth soft close function, while pull out shoe racks provide the perfect place to store your designer footwear collection. 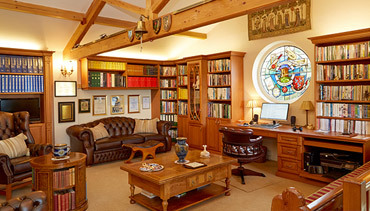 Imaginative lighting solutions can really set a mood for a room. 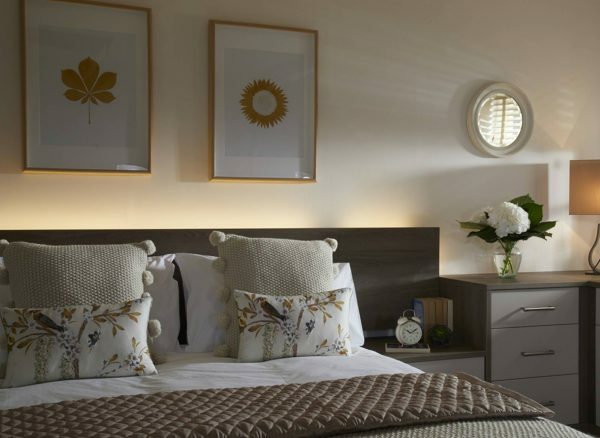 Our LED strip lighting can be integrated into your bespoke headboard, creating lovely soft ambient lighting conveniently operated from the bed.